I have Raspberry Pi running RaspBMC with a WD MyBook connected using USB. The drive is automatically mounted to /media/My Book. I have created a folder /media/My Book/downloads and I have set Trasmission's download directory to be /media/My Book/downloads. the operations succeeds without any error but the permissions do not change, they stay 700 just for the owner. What am I doing wrong and how can I enabled Transmission to write to that directory? The problem was the way the USB disk was automonted. I mounted it manualy with mount -t ntfs-3g and it started working. I believe your problem is your USB stick is formatted as NFTS or FAT, filesystems that do not support the per-user/group permissions. The solution is to reformat as ext4. If you do that, you will also have much less lag if you are using your Pi as a media center. 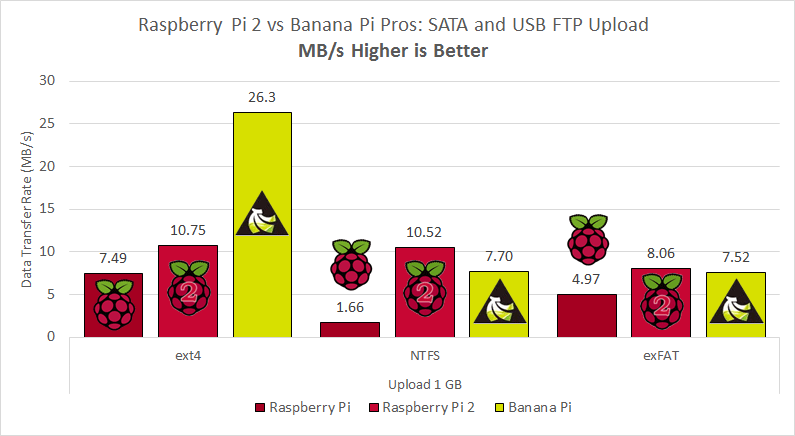 The drivers for the Pi are much faster when you use ext4. None of the answers here worked for me, so I am writing a new one referencing https://pimylifeup.com/raspberry-pi-torrentbox/ which worked great for me and allowed me to run transmission as pi user to access my USB drive. This is not directly answering the OP but this question is very popular (first Google result) for this sort of problem so I put it here. and you're done. It should now work. where /downloads is the directory you want your downloads to be in (or mount location). this is safer than using root. I think one of the main things people are overlooking is that you should mount your usb/external drive in /mnt/myUsbDrive folder, and NOT in /media/pi/myUsbDrive. I tried every single answer given on this discussion (including root) in a hundred different ways with different options and could not get transmission to save on my usb SSD drive. Then while reading something different, it was mentioned not to mount in /media/pi since daemons or other groups may not have access. So i mount the USB drive to /mnt/usb_disk, set the paths in /etc/transmission-daemon/settings.json to /mnt/usb_disk/downloads and transmission starts saving to the disk. FYI, I do have user=pi in /etc/init.d/transmission-daemon. FYI, I did change owner of /mnt/usb_disk/downloads to pi and group to debian-transmission with 777 permissions. After a lot of reading and frustration. Once you change the transmission-daemon user to root the permissions problem is gone with either a usb or smb share. The problem relates to FAT not recognising multiple users. it should mount your filesystem with folders 777 and files as 666 owned by "nobody" belonging to "nogroup"
you will need to remount (or reboot) for the changes to be seen. Finally found a working solution. Just adding it to shares.conf is not enough, autosharing must be turned off. I had a similar permissions problem. I tried following sabi's solution blindly and found that it did not work. Not only that, but I believe it's a bit overkill. In my situation I simply overlooked the fact that transmission-daemon was running as user:debian-transmission. of course, you can also change other settings like rpc-whitelist,cache-size-mb,speed-limit-down. it worked like charm. the reason is very simple, other answers try to grant pi all kinds of permissions and put it to the debian-transmission group, but the debian-transmission group dont have write access to the usb, so whatever they suggested end up in frustration for me. the right thing to do is to put debian-transmission into the pi group and mount the usb to pi. this way we dont need to go through all the complicated permission changes and user changes. chmod 777 should give every user all permissions to a file or directory. If that doesn't work, it's likely that the user that execute that chmod command does not own the directory or file. For example, if root owns /media/My Book/ and the pi user will not be able to change the permissions of that file. The three numbers you pass to the chmod command affect the owner, the group, and everybody else, in that order. Thus the most common settings for a directory are "chmod 755 somedirectory". That mean the owner can read, write and change into the directory, but group and everyone else can only read files and change into the directory. Not the answer you're looking for? Browse other questions tagged raspbmc hard-drive storage or ask your own question.